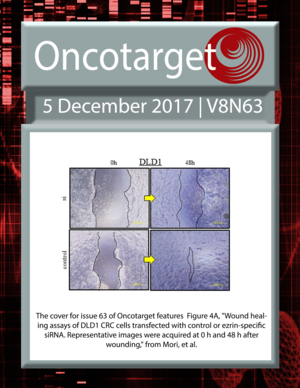 The cover for issue 63 of Oncotarget features Figure 4A, "Wound healing assays of DLD1 CRC cells transfected with control or ezrin-specific siRNA. Representative images were acquired at 0 h and 48 h after wounding," from Mori, et al. 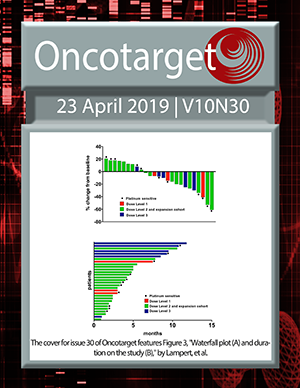 Circulating GRP78 antibodies from ovarian cancer patients: a promising tool for cancer cell targeting drug delivery system?